There’s a chill in the air, and the colder it gets, the more we crave hot food! 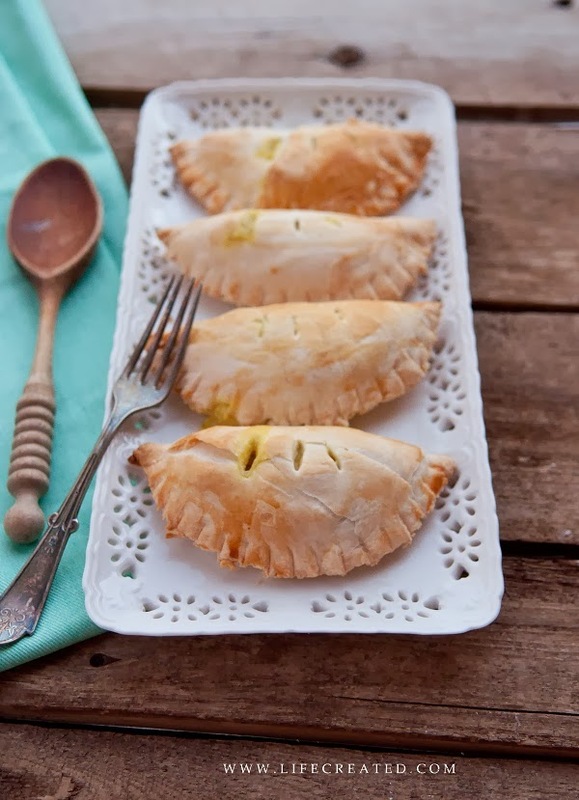 These chicken pot pie pockets are the perfect mix of a home-style food with convenience. The weather is finally starting to cool in California (and by cool, I mean high 60s, low 70s), but that is good enough for me! I have a theory, starting September 1st is beanie season. I grew up in Vermont, so September is really when it starts to cool down. However, in California, we are still pushing 80-degree weather here, and people kind of look at you like a crazy person when you are wearing a beanie with shorts and a t-shirts. Now that we are in the middle of October, it should be completely acceptable to wear beanies, chunky sweaters and boots. I am totally ready for a change in wardrobe! There are many things that I am working on attaining. A long list of things; be it in the kitchen or in life, things I want or am striving to learn or do better. But there is one thing that I feel I excel in, not that I don’t continue to expand and evolve and learn anew anytime that I am able. This one thing is pasta. Breakfast, lunch or dinner, in the early rays of a sun lit afternoon or the wee hours of the night at three am; I can whip up a plate of mouth-watering pasta. As long as I have a box of noodles the possibilities are endless. It has nothing to do with what I have in the cupboard or the fridge. In fact, I take it as challenge the barer the kitchen is! My secret is not only in the simplicity of the dish, but also the quality of the ingredients. I mean come on, let’s be honest, if you are making a dish with three ingredients, you can’t skimp on the quality of what you use!